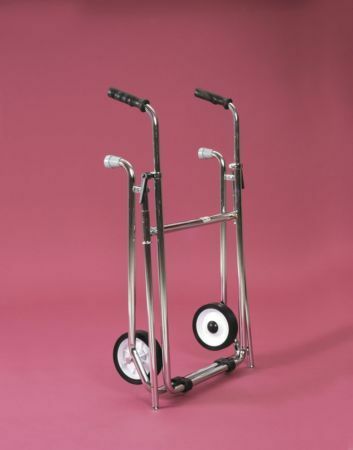 Folding Rollator, Height Adjustable With Steel Frame. Sometimes, simpler is best. This is a foldable rollator, and it’s a perfect example of where simpler design wins out. It still provides the support and durability that you’d expect, due to its sturdy chrome plated steel frame; this item has been built to last! It’s fair to say that anyone purchasing this item will get their money’s worth. The tyres are made from polyurethane foam which means that they will travel well over pretty much any surface, while remaining tough and hard wearing. It’s easy to adjust the height of the frame meaning that it can be set to match the height of the user. 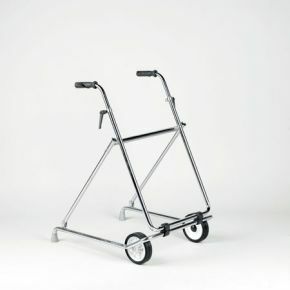 And finally, it’s a piece of cake to collapse this folding rollator, meaning that storage and transport issues are not a problem. Height adjustable.................from 762 to 965mm (30 to 38"). Great product, simple , easy to use and folds easy to go in the car. Quick delivery too.